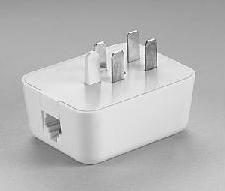 Description: Telephone adapter allows North American RJ11 jack (4 pin) to mate with United Kingdom telephone socket. 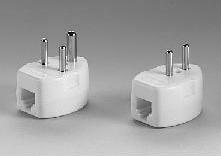 Adapter also has a United Kingdom telephone socket (female). White. 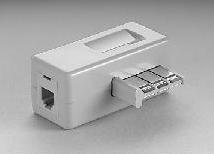 TELEPHONE JACK ADAPTER KIT. 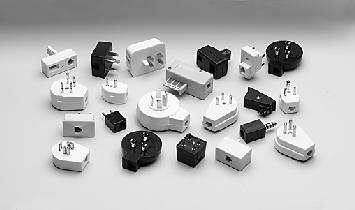 U.S. RJ 11 JACK (4 PIN ) TO GERMAN SOCKETS. KIT INCLUDES THREE DIFFERENT ADAPTERS. 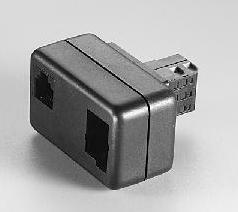 TELEPHONE JACK ADAPTER. 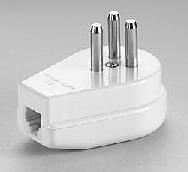 U.S. RJ 11 JACK (4 PIN ) TO GERMANY SOCKET WITH ADDITIONAL U.K. SOCKET BLACK. 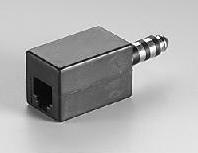 TELEPHONE JACK ADAPTER. 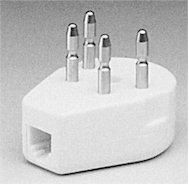 U.S. RJ 11 JACK (4 PIN ) TO UNITED KINGDOM SOCKET. TELEPHONE JACK ADAPTER. 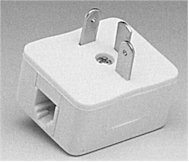 U.S. RJ 11 JACK (4 PIN ) TO FRENCH SOCKET. 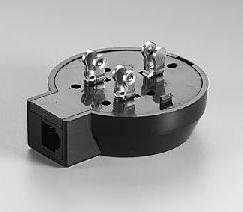 TELEPHONE JACK ADAPTER. 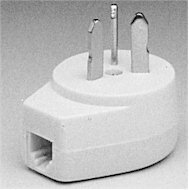 U.S. RJ 11 JACK (4 PIN ) TO FRENCH SOCKET WITH ADDITIONAL FRENCH SOCKET. IVORYOTHER VARIATIONS AVAILABLE. 6 PIN TYPE AND 8 PIN TYPE. TELEPHONE JACK ADAPTER. U.S. RJ 11 JACK (4 PIN ) TO AUSTRALIAN SOCKET. IVORY OTHER VARIATIONS AVAILABLE. 6 PIN TYPE AND 8 PIN TYPE. TELEPHONE JACK ADAPTER. 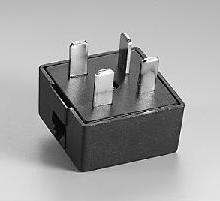 U.S. RJ 11 JACK (4 PIN )TO ITALIAN SOCKET. IVORY OTHER VARIATIONS AVAILABLE. 6 PIN TYPE AND 8 PIN TYPE. TELEPHONE JACK ADAPTER. 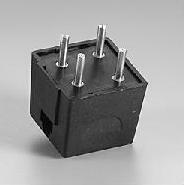 U.S. RJ 11 JACK (4 PIN ) TO SWEDISH SOCKET. TELEPHONE JACK ADAPTER. 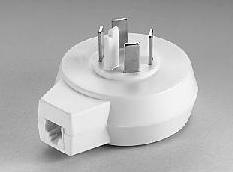 U.S. RJ 11 JACK (4 PIN ) TO FINLAND AND NORWAY SOCKET. TELEPHONE JACK ADAPTER. 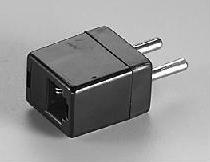 U.S. RJ 11 JACK (4 PIN ) TO BELGIUM SOCKET. WHITE. OTHER VARIATIONS AVAILABLE. 6 PIN TYPE AND 8 PIN TYPE. TELEPHONE JACK ADAPTER. 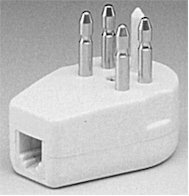 U.S. RJ 11 JACK (4 PIN ) TO DENMARK SOCKET. IVORY NOTE: OTHER VARIATIONS AVAILABLE. 6 PIN TYPE AND 8 PIN TYPE. TELEPHONE JACK ADAPTER. 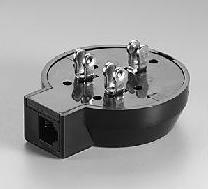 U.S. RJ 11 JACK (4 PIN ) TO S. AFRICA SOCKET. IVORY NOTE: OTHER VARIATIONS AVAILABLE. 6 PIN TYPE AND 8 PIN TYPE. TELEPHONE JACK ADAPTER. 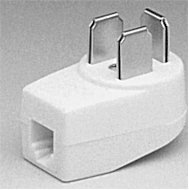 U.S. RJ 11 JACK (4 PIN ) TO BRAZIL SOCKET. BLACK. TELEPHONE JACK ADAPTER. 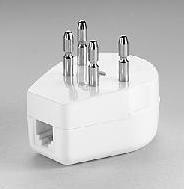 U.S. RJ 11 JACK (4 PIN ) TO HOLLAND SOCKET. TELEPHONE JACK ADAPTER. 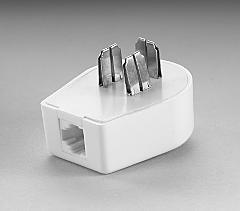 U.S. RJ 11 JACK (4 PIN ) TO HOLLAND SOCKET. IVORY NOTE: OTHER VARIATIONS AVAILABLE. 6 PIN TYPE AND 8 PIN TYPE. TELEPHONE JACK ADAPTER. 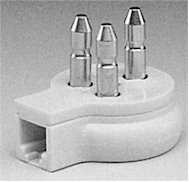 U.S. RJ 11 JACK (4 PIN ) TO HUNGARY SOCKET. TELEPHONE JACK ADAPTER. 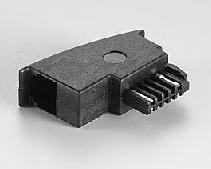 U.S. RJ 11 JACK (4 PIN ) TO YUGOSLAVIA SOCKET. TELEPHONE JACK ADAPTER. 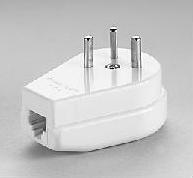 U.S. RJ 11 JACK (4 PIN ) TO GREECE SOCKET. TELEPHONE JACK ADAPTER. U.S. RJ 11 JACK (4 PIN ) TO SOUTH KOREA SOCKET. 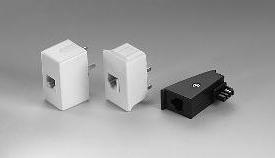 TELEPHONE JACK ADAPTER KIT.RJ 11 TO KUWAIT, JORDAN, IRAN, IRAQ SOCKETS. INCLUDES TWO DIFFERENT ADAPTERS. 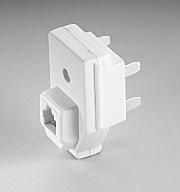 TELEPHONE JACK ADAPTER. U.S. RJ 11 JACK (4 PIN ) TO TURKEY SOCKET. 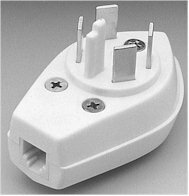 INTERNATIONAL TELEPHONE JACK ADAPTER KIT.